other information Dublin Records DU 1003, 2004. 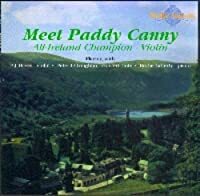 Remaster of LP All-Ireland Champions - Violin: Meet Paddy Canny & P.J. Hayes. Notes to reissue by James O'Neill and Earle Hitchner. Compare the Shanachie reissue of the same album: AIC1.